The Apple Inc. has released the 8th generation smartphone in its iPhone series of devices. This smartphone has a code name ‘N61’ and the manufacture of this phone is Foxconn, Pegatron. This smartphone was first announced on 9th September, 2014 and immediately went to be released in market on 19th September, 2014. The iPhone 6 and 6 Plus were released at the same time. The iPhone 6 Plus was mainly to satisfy those who kept cribbing about the small screen size of Apple smart phones. So, the major target customer base for this phone are regular iPhone users who wanted bigger screen size and those in the upper middle class category who had waited for an iPhone with bigger display. This smartphone has USP like the bigger screen size, amazing battery life and better upgraded camera. These USP’s would surely lead iPhone’s customer circle to widen to a greater extent. The high end quality and uniqueness in its features has always set iPhone apart from the normal smartphones. Now let us look in detail at the other important technical specifications in detail and analyse its pros and cons. iPhone 6 Plus smartphone comes with an Aluminium rear with classy curved corners. The frame of this phone has a metallic strip running along the entire length of the edges. This smartphone is best known for the sleek and stylish look that it carries. This smart phone feels really premium when held in hand. The metallic rear though makes this phone slightly slippery. The length of this smartphone is 158.1 g and the breadth is 77.8 g. The thickness of this phone is just merely 7.1 mm that makes it very easy to carry around and easy to handle. The weight of this smartphone is 172 g and hence it falls on the heavier category. An important upgrade in the iPhone 6 Plus is the presence of an ion strengthened Retina HD display. The display is of IPS LCD type with capacitive touch feature. The enhancement present in it is the LED backlit facility which provides dual – domain pixel resolution. The size of this smartphone’s display is 5.5 inches. It comes with a resolution of 1080 x 1920 pixels. It comes with an efficient multi touch feature. The protection to the display comes in the form of Ion strengthened glass with oleophobic coating for this smart phone. It also has the digital zoom option. This smartphone comes in three royal colours namely Space gray, Silver and Gold. This smartphone comes with the 8th generation OS. 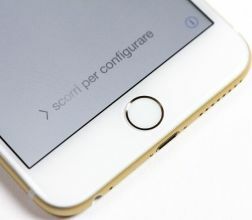 This Apple handset functions on the Apple iOS 8 during purchase. Later on it can be upgraded to iOS 9.3.3. The chipset used here is the Apple A8 module. The central processing is taken care by the Dual – core Typhoon CPU. This is based on ARMv8 technology. The processor speed of this CPU is 1.4 GHz. The graphics interface is controlled by the PowerVR GX6450 GUI. This belongs to the quad – core graphics standards. The internal memory in this smartphone comes in three different variations. Depending upon these variations the price of the smartphone differs. In this review we are interested in the 16GB version. Apart from this 64 and 128GB versions are available too at higher costs. There is no option for externally expanding the memory in this smart phone. The RAM memory in this smartphone is 1 GB of the DDR3 type. The main camera in this smartphone is 8 MP. It has an aperture of focal length f/2.2 and a wide angle focus of 29 mm. The sensor size used here is 1/3 inches with an average pixel size of 1.5 micrometer. The important enhancement features are auto focus, dual LED flash and OIS. Other additional features are geo tagging, face detection, HDR and Panorama. The secondary camera is a mere 1.2 MP. It is certainly an improvement compared to the previous iPhones. It has an aperture focal length of f/2.2 and a wide angle focus of 31 mm. The video recorded using these cameras has a resolution of 1080p at 30fps. The audio in this smartphone is decent. A drawback though is the lack of a FM Radio. This smart phone gets the required power from a non – removable, Li – Po battery. It has a capacity of 2915 mAh. The power rating for this battery is 11.1 Wh. The standby time is up to 384 h in both 2G and 3G modes. It has a talk time of up to 24 h. This phone comes only with one sim facility. The sim should be a Nano sim. It works only on GSM network. It is compatible in both 3G and 4G modes. It also has the basic wireless connectivity features like Wi-Fi and Bluetooth v4.0. The pros of Apple iPhone 6 Plus are its bigger screen size, amazing battery power rating and upgraded camera. The disadvantages though are its low RAM memory, lack of FM Radio and absence of expandable memory.